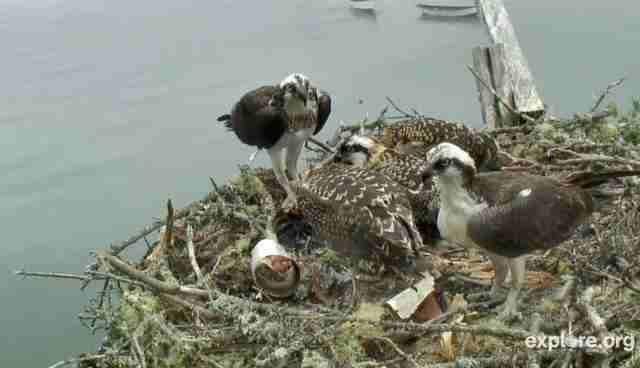 At almost six weeks old, the three Osprey chicks are eating lots of fish and have grown almost as big as their parents, nicknamed Steve and Rachel. 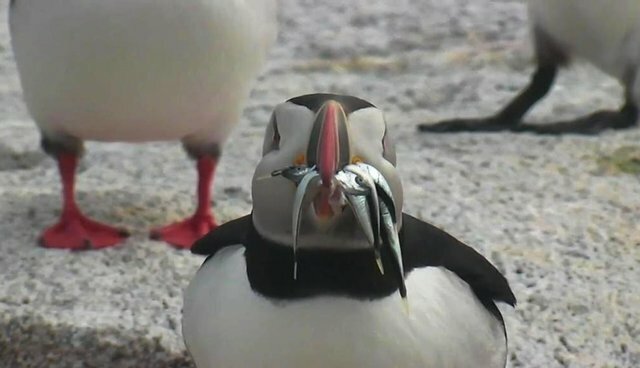 The puffling, or Puffin chick, which hatched on June 28th, has been eating lots of small fish that both parents are bringing to the burrow. Our cover photo taken by Sheri Cochran shows one Puffin after a successful fishing trip. Check out the lovable fan photos of the chicks and see for yourself just how big they're getting at explore.org. 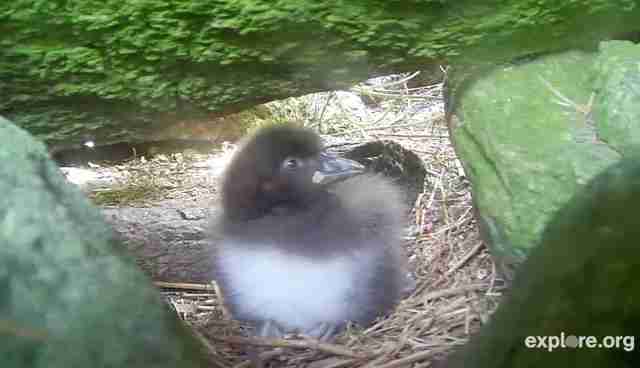 Jadeh captured the adorable puffling saying "Hello" to the explore.org cam. 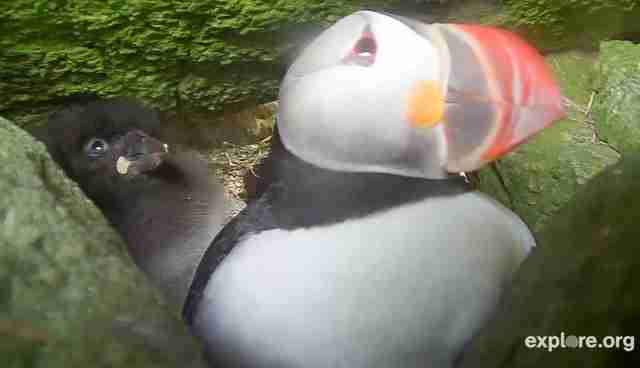 Lilypad took this snapshot of the puffling trying to look like the parent Puffin. 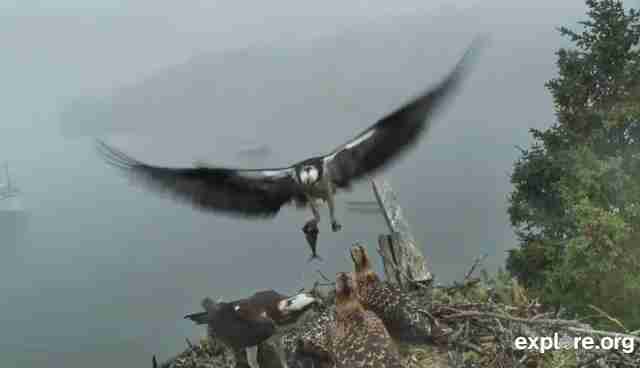 Samantha Eye took this picture of the three hungry Osprey chicks eagerly awaiting dinner. SylwiaPycio caught this photo of a full Osprey nest! 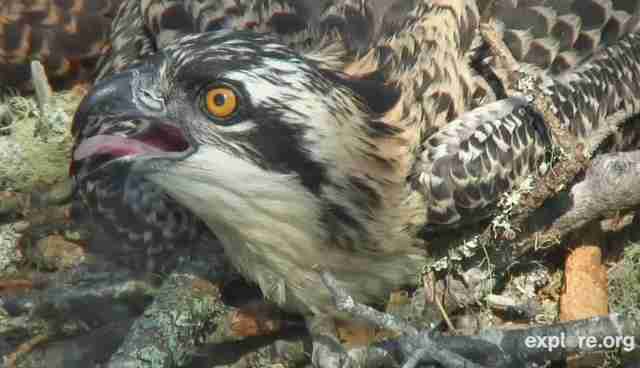 ChrisWhite2 took this close-up of the osprey chick with its tongue out.